WinCustomize: Explore : Political Candidates : George Bush Sr. The original 'President George Bush' served a single presidential term from 1988 to 1992. Remembered for his 'Real My Lips' speech, as well as for fathering Dubya, this Republican candidate brings centuries of experience to the table. Can George Senior beat the odds and make it 12 straight years of 'President Bush'? 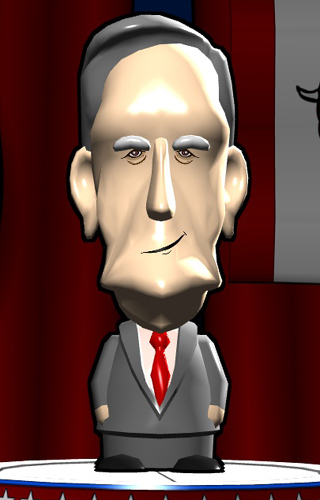 This is one of the best rendered bobble-heads in the whole PM08. There's no mistaking Bush41 here.